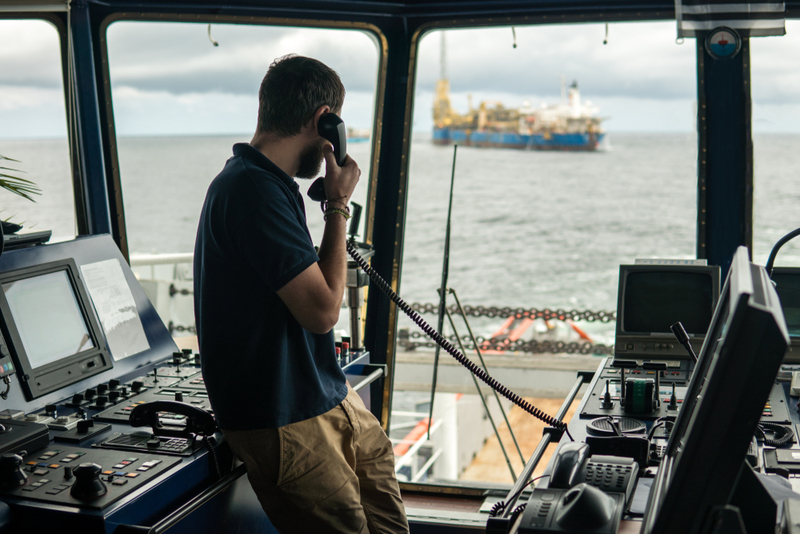 Working at sea can mean many things, being away from home, and the pressures of working hard. However, there is also the issue of sleep patterns and watchkeeping. What effect does watchkeeping have on the body and mind? There’s a reality in shipping that can’t be ignored. Regardless of today’s technology, ours is a 24hour, 365-day industry which calls for seafarers to work hard at all hours. The round the clock shipboard life means that watchkeeping is still the pattern of the day. “Normal” hours of work are generally taken to mean a working day with hours left for recreation and rest. In the wonderful world ashore, we usually see “rest” a nighttime activity, with work a daytime activity. It is important to look past the norms though and understand seafarers who work other schedules which transcend the day-night work-sleep pattern. What happens to their mind, body and soul? Abnormal working hours are not a modern phenomenon. Bernardino Ramazzini a 17th-century Italian physician noted that bakers, innkeepers, and soldiers worked such hours. He was the father of “occupational medicine” and was concerned at the impact work had on people all those centuries ago. Obviously, mariners have always had to keep a constant vigil and lookout, and so a watch system is assigned to allow the ship’s crew to operate the ship 24 hours a day for the duration of voyages or operations. On merchant ships, watchkeepers typically stand watch for three periods of four consecutive hours. This system has a couple of advantages: it is easy to remember, and it is consistent. This scheme also allows inexperienced watchkeepers to stand watch from 8–12 a.m. and 8–12 p.m., when senior officers are likely to be awake and ready to assist in case of trouble. By custom, in a ship with four deck officers the third mate takes the 8 to 12 watch, the second mate the 12 to 4 watch, and the chief officer the 4 to 8 watches. This enables the second officer, who is the ship’s navigator, to take morning and evening star sights. While the Chief Mate to assign work to the deck gang before the ship’s day begins, and to inspect it before going on watch at 1600 hours. Historically, the watches kept on sailing ships consisted of 5 four-hour periods and 2 two-hour periods. These two groups of personnel alternated in working, known as the ‘port’ and ‘starboard’ watches, to alternate from day to day, so that the port watch had the night watch one night and the starboard watch had it the next night. Shift work and watch patterns have long been linked to certain chronic diseases and illnesses. Long-term night shift work is associated with an increased risk of certain cancers, as well as metabolic problems, heart disease, ulcers, gastrointestinal problems, and obesity. Insufficient sleep has been shown to change metabolism and appetite, and studies have shown that shift workers have higher levels of triglycerides than day workers. Added to these biological factors, shift workers sometimes have irregular eating habits and poor diet—both of which could increase their risk of metabolic problems as well. “Shift work disorder” can increase the risk of mental health problems like depression. This may be because of the disruption of the circadian system (which regulates the release of different chemicals in the body). While productivity and work performance can suffer for several reasons. Shift workers are less likely to sleep the full amount their bodies require, and this can accumulate into a large “sleep debt” over time. If you work at night, you’re also going against your biological clock, which is naturally cueing you to become less alert and encouraging you to sleep during the nighttime hours. There needs to be a very challenging balancing act at sea. There is an obvious need for people to work through a 24-hour cycle. However, the impacts on performance and thus safety need to be managed. Working in watch patterns can slow down reaction times, and they may not think as quickly or respond and problem solve as well. Concentration may be reduced, and it can become harder to focus and stay on task. Studies show slower reaction times and more errors occur during night hours. It is a well-known (and often experienced) fact that sleepiness leads to slower reactions and interferes with decision making. Working at night goes against the natural pattern of the body’s clock, so even if a watchkeeper sleeps enough, a dip in alertness can come at night. People often misjudge their own sleepiness, believing that they are alert and capable of making good decisions, when in fact their judgment is impaired. There is a clear correlation between night work, perceived stress and subjective well-being. Shift work interferences on health and well-being are complex and multidimensional, they are also affected by personal characteristics, working and living conditions. So, no two people or ships are impacted in the same way. However, we cannot ignore the impacts of watchkeeping and need to find ways of ensuring performance is managed and risks mitigated. 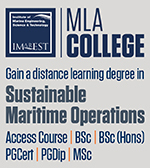 What are the steps that seafarers can take, but what can employers do also? 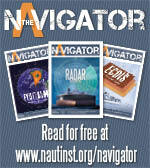 Unfortunately, at sea it is not as easy as ashore – is anything? So, the advice that most experts provide doesn’t always stack up. How though can watchkeeping be made better? Expert advice 1: Eat well: Watchkeeping can play havoc with dietary health. Research shows that delaying meal times or having meals at irregular times can affect your internal body rhythms, which means delays in blood glucose rhythms. Which in turn affect reactions and feelings. The advice is to plan in advance and find the right rhythm of eating which fuels your body well. It can be hard at sea – seafarers don’t choose the meal times and there is often a sense of making do when it comes to food on offer. 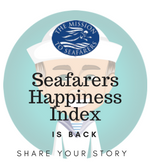 Recent comments within the Mission to Seafarers, Seafarers Happiness Index show how hard it can be for crew to get the food they want. Expert advice 2: Take breaks: It may be fine for experts to say that shift workers should “take a break” – but that is not often possible onboard ship. So, while there is unlikely to be any relief during the four or six hours on watch, then watchkeepers can try and reward themselves with a routine that feels varied throughout the time period. Excessive repetition is the enemy here – so watchkeepers can try and mix things up a bit. For the lucky ones with open bridge wings, perhaps a stroll outside. Take some air and look around under the stars. Otherwise, try and step away from the tech and give it some old school binocular action. Practice star recognition, or some old-fashioned chart work. As long as you are continuing to provide a safe lookout, then there are ways and means of breaking the monotony. For some, even looking out of the window is a novelty! Expert advice 3: Exercise: It’s unlikely that you will finish watch and want to head straight to the gym for a workout. However, you may want to plan a few activity sessions around your shifts, and increasingly ship’s do have better exercise equipment, so it is important to try and use it. Exercise isn’t just about physical health, it’s about mental health too. Physical movement has a potent antidepressant action, even gentle forms. So, if energy is low, opt for something soothing even stretching before getting into your bunk. Expert advice 4: Getting social: With increasingly smaller crew numbers onboard, it can be ever harder to maintain a social life onboard. However, interactions are really important to mental health and wellbeing. Any activities which can be scheduled around watch patterns and which bring people together are really important. Seafarers need to find that link again onboard. The Seafarers Happiness Index recently stated how important crew feel their bonds are onboard, so these need to be strengthened constantly. How do you feel when you work extended periods on watch? Do you feel it impacts your wellbeing, mental health and happiness? We would love to hear your thoughts.